Food-security experts from all over the world are converging on Belfast this week (28-31 May 2018) for a major conference looking at how to feed a growing global population. The Belfast Summit on Global Food Integrity is being hosted by the Institute for Global Food Security (IGFS) at Queen’s University, along with principal partners safefood and Laval University (Quebec, Canada) and will be chaired by Professor Chris Elliott OBE, Pro-Vice-Chancellor of the Medicine, Health and Life Sciences faculty at Queen’s, who led the UK Government’s inquiry into the horsemeat scandal. Keynote speakers include experts from WHO; UN; EU; World Wildlife Fund; World Bank; PepsiCo as well as leading international agri-food research institutions such as Wageningen WUR (the Netherlands), The China Agriculture University and the University of Minnesota. The Belfast Summit will address massive challenges such as climate change, Brexit, labyrinthine food-supply chains and food fraud on a global scale. Dubliner Dr John Bell, Head of Bioeconomy at the Research and Innovation Directorate General of the European Commission, opened the Summit, which will be outcomes-focussed and work towards a series of urgent recommendations to influence policy in the area of food integrity, food safety and food security. 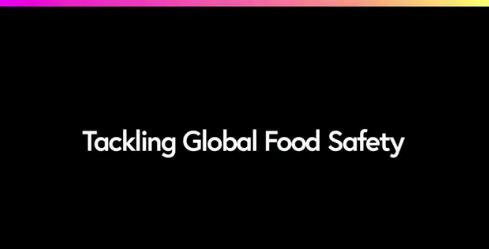 A ‘Super-Panel’ of senior, international female food regulators will give an overview of some of the biggest challenges facing the global food industry: a rapidly growing population, climate change, food fraud and, closer to home, Brexit. Speaking ahead of the Summit, Queen’s Pro-Vice-Chancellor Professor Chris Elliott, said: “The need to address the challenge of global food security and integrity is of increasing importance and urgency with a growing world population. “The significance of those attending and speaking at the Belfast Summit, organised by our Institute for Global Food Security, is testimony to the calibre and importance of research being undertaken here. Dr Gary Kearney, Director of Food Science at safefood, said: “The ability to protect both the consumer and the integrity of our food supply chain in a rapidly changing environment is a considerable challenge. The UK’s decision to leave the EU poses many wide-ranging issues for both food producers, regulators and consumers across the island of Ireland when it comes to food authenticity and traceability. The Summit, which has more than 600 attendees, will provide a major business opportunity for Northern Ireland, as local companies network with experts from across the international food industry, food-science and agri-food/environmental-science sectors, including business leaders, policy-makers, researchers and representatives from NGOs. Delegates are attending from all over the world including USA, Canada, many European countries, Vietnam, China, India, Chile, Brazil and African nations including Senegal, Nigeria, Uganda, South Africa and Ghana. For more information please visit the Summit website. All media inquiries to Queen’s Communications Office.